International nutrition company Herbalife has selected Brisbane as the destination for an incentive event for 1,500 people. The brand’s first event in Queensland will be held from 16-20 September 2017. More than 1,500 leading members will attend the Future President’s Team Retreat, where they will take part in a series of lifestyle and leisure activities in Brisbane and the surrounding regions. The Brisbane Convention Bureau, which sits within the city’s economic development board - Brisbane Marketing, worked closely with the Brisbane Convention and Exhibition Centre and Tourism Events Queensland to secure the contract with Herbalife. Lord Mayor Graham Quirk said the retreat represents an estimated $3.9m (£2.3m) in economic impact and reinforces Brisbane’s growing profile as a major business event and incentive destination in the Asia Pacific region. "I’m delighted Herbalife has chosen Brisbane as the ideal location to train, motivate and reward the ‘best of the best’ among its Asian Pacific network," he said. 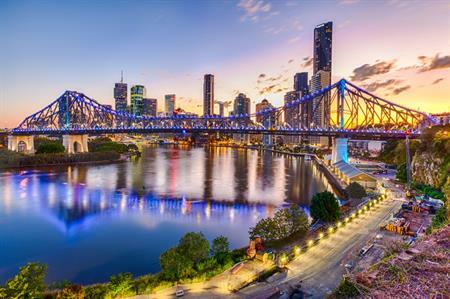 "This follows the announcement that Brisbane will this year host Tourism Australia’s global incentive showcase ‘Dreamtime’, proving Australia’s New World City is primed to capture a greater share of the global business events and incentives market." Speaking at the Asia-Pacific Incentives and Meetings Expo (AIME) in Melbourne, Brisbane Convention Bureau’s general manager, Rob Nelson, said the city is building awareness as an incentive destination, particularly since it was chosen to host Dreamtime in December 2017. "Herbalife’s top members will experience the best that our welcoming and vibrant city has to offer, from a convention centre voted ‘best in the world’ to unique attractions and entertainment offering that quintessential Australian experience," he added.